Four men were taken to the hospital after being shot near 84th Street and Towne Avenue in South Los Angeles on Sunday, April 10, 2016. 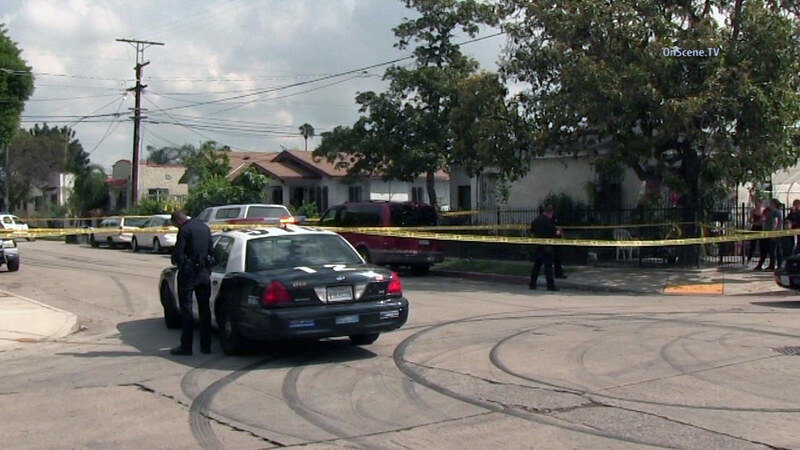 SOUTH LOS ANGELES (KABC) -- Four men were shot in South Los Angeles on Sunday, according to the Los Angeles Police Department. Police said the four victims were approached by four men near 84th Street and Towne Avenue at about 9:45 a.m. when multiple shots were fired. The four victims, all in their 20s, we taken to the hospital. One victim was listed in critical condition and the three others were listed in stable condition. Police said the suspects remain at large and that their investigation into the shooting is ongoing.